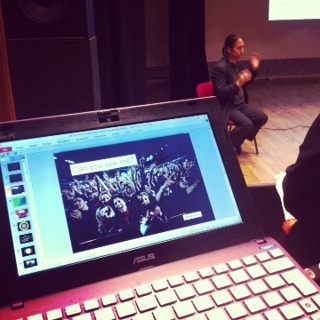 Last week I had a ball helping artists be online better. One thing jumped out at me. So many artists and makers use their websites like a wall in a gallery. One lovely image at the top and lots of white space. That’s it! No call to action, nothing telling me about you and no idea where to go next as a user. Lots of space that could be used a whole lot more effectively. Here are my tips to optimise your website. See if any of these rules apply to yours. Now make your website more effective and think of your user! Rule number 1: Your website is not a pretty picture. It’s not a printed brochure for the web. It’s not a gallery re-imagined. NO. Your website is a sales driving machine. We are in the business of selling and a pretty picture will not sell anything. OK, it might help a bit, but you need to consider the user first. Rule number 2: Be your user. Open your website and look at it with fresh eyes. That’s right. Close your eyes and repeat after me. “I am a customer”. Now open them. Can you find the price and dimensions of your latest painting? Will it fit over the sofa in the sitting room? No. Not there? Back to the drawing board! Now bring in a few more people. Open your laptop or tablet. Ask these strangers to Google your website and find out how much painting X is. Ask them to sign-up to your masterclass or email newsletter. Watch as they try to solve this problem. Do they get frustrated, angry, sigh a lot and give up in frustration? If they do, then you have an idea what to fix. Go do it now! Repeat this exercise for every important piece of information you need your users to know. If your user gets lost or frustrated it’s your fault. You can fix the problem. Remember 80% of people never come back to your site. Using an email sign-up form on your website is vitally important for your business. Make sure to include one on your homepage and on your blog. Tell users why they should sign up, how you will help them and how often you will be in contact. Make sure they can unsubscribe too and be clear about how you will protect their personal information. I separated my sites above.